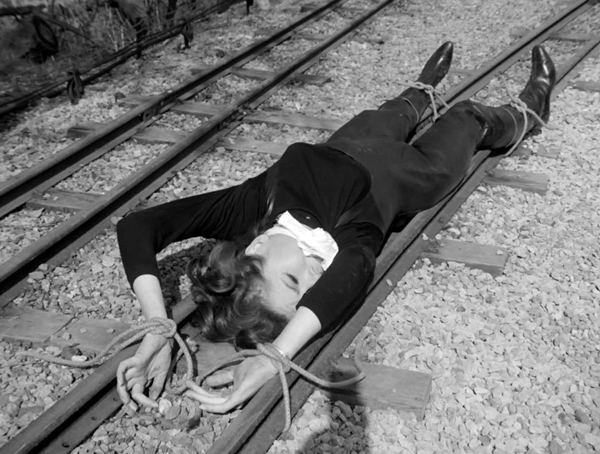 What is that young woman doing tied to the railway line? She’ll break my engine! Do you dig The Gravediggers? Yeah, it’s all right. Actually, it’s more than all right. While the series has been up to its eyeballs in eccentricity prior to this, this episode furnishes us with the particularly eccentric eccentric living in his own private fantasy world, and as part and parcel of this, stylistic conceits entirely take precedence over any notions pertaining to logic or naturalism. 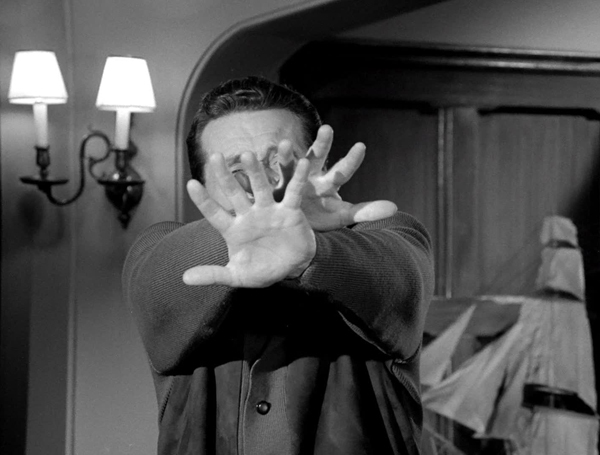 It’s an episode that revels in its absurdity. 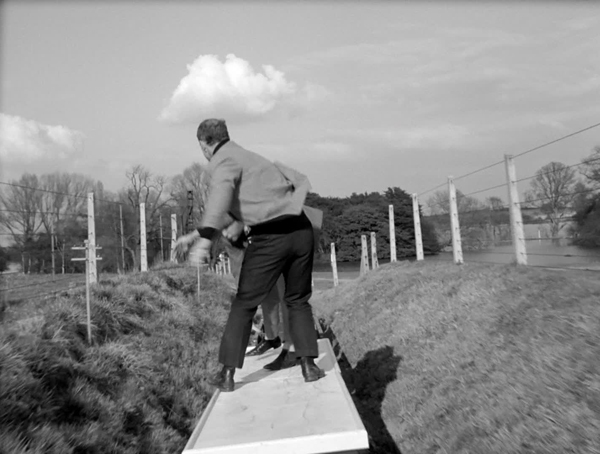 It’s also Mac Hulke’s penultimate contribution to the show (his last came four years later), and one wonders how much of the wackiness was added by Brian Clemens, since its fairly atypical of Hulke. The Gravediggers begins in fairly traditional manner too, albeit an antenna rising from a grave announcing its leanings. The plot, and the masterminds, are revealed tout suite; a jamming signal will leave the country open to missile attacks without warning. 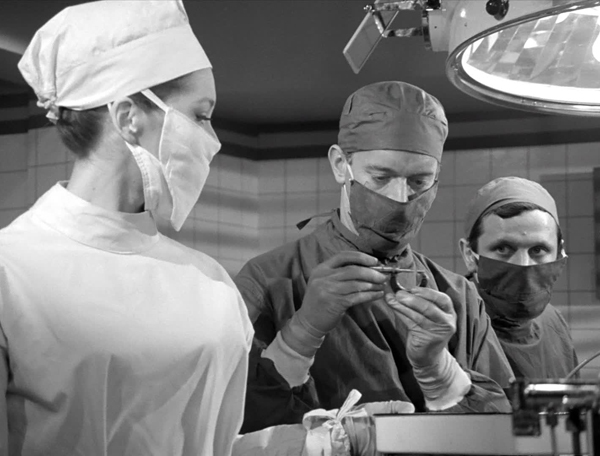 Dr Palmer (Aubrey Richards) helpfully tells Steed and Mrs Peel that no one could achieve this. 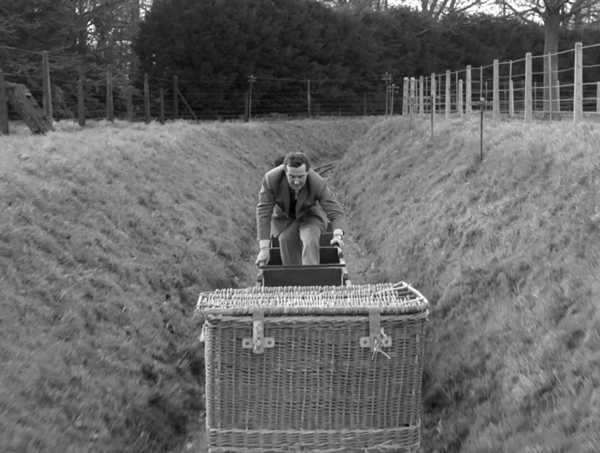 Why, it was the life’s work of Dr Marlow (Lloyd Lamble), who died four weeks prior. What’s more, any potential device would have to have emanated from the village of Pringby…. Where Marlow was laid to rest. So there’s no real mystery. It’s the unfolding that’s the thing. It’s even established that Marlow is misguided rather than bad (he just wants to continue his research, and has been misled by the rotters). 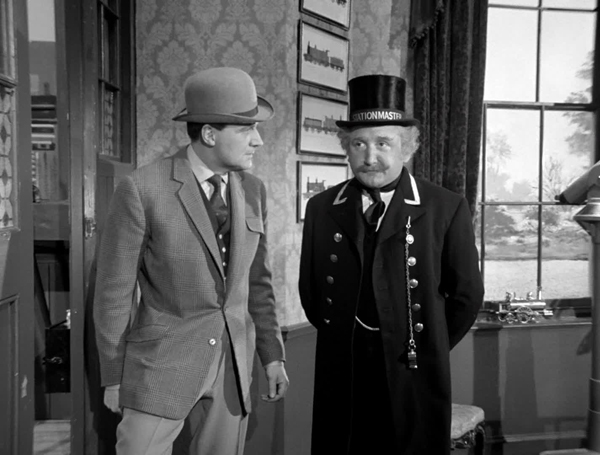 Steed: Whilst you’re waggling your thermometer, I’ll tackle Sir Horace Winslip. 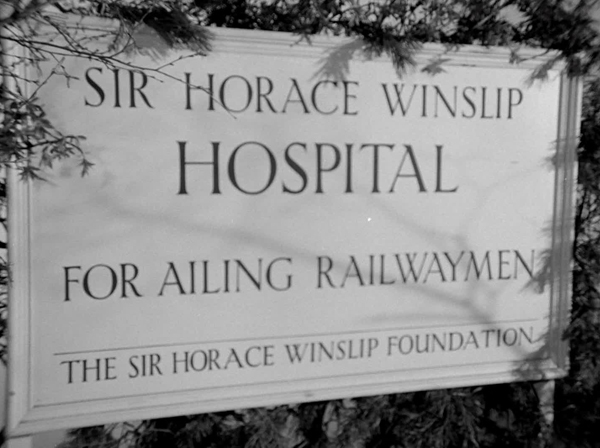 Emma goes undercover as a nurse (she’s making good use of that uniform this season) at the Sir Horace Winslip Hospital (for Ailing Railwaymen) while Steed decides to speak to the generous donor himself, played in full fettle by Ronald Fraser (The Happiness Patrol) on enormously endearing form. 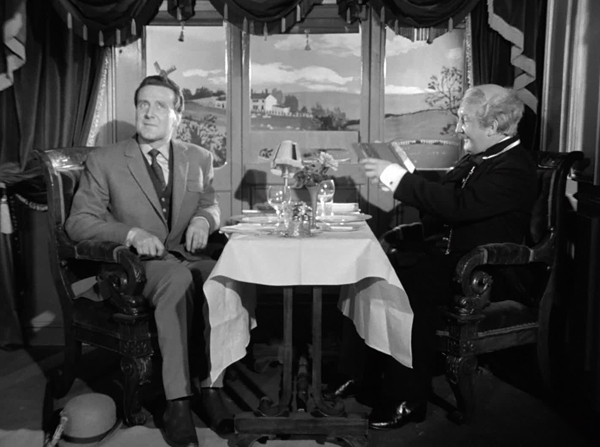 On arriving, Steed (representing The Footplateman’s Friendly Society) is welcomed aboard Sir Horace’ carriage, a stationary affair rapidly assuming the illusion of locomotion thanks to dedicated butler Fred (Charles Lamb), who rushes about shaking the carriage, presenting (literally) rolling countryside and an approaching tunnel as the affable Horace offers the Avenger sustenance, explaining “If I attempt to eat a meal without the gentle rocking and the scenery flashing by, I get the most dreadful indigestion”. Like many an Avengers’ oddball, Sir Horace yearns for halcyon days. 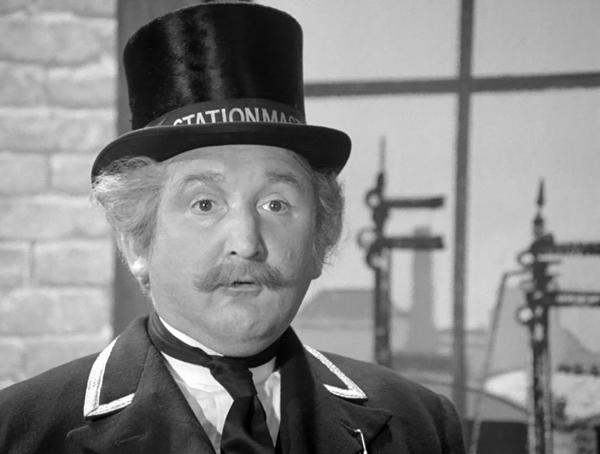 His particular penchant, as a rich railway man, is to see trains returned to their rightfully eminent place, since they “made civilization possible, you know…” And for the motor car, his desire is to have “the evil vehicle banished from the Queen’s highway”. Sir Horace: What is that young woman doing tied to the railway line? She’ll break my engine! 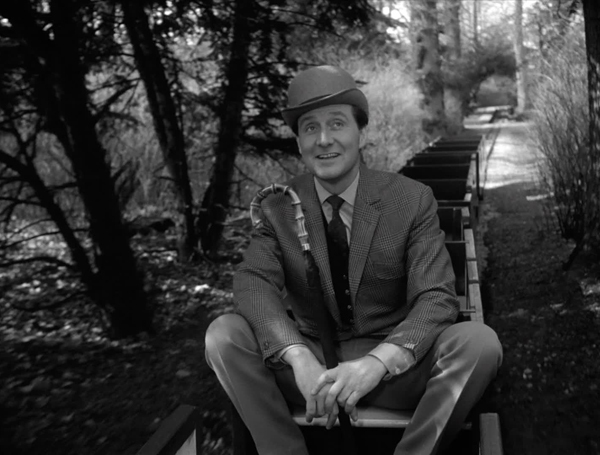 Sir Horace’s particular quirk also leads to Steed rescuing Mrs Peel from certain doom in one of the series’ most inspired action climaxes, as she is tied to the tracks of a miniature railway with a fast approaching train. 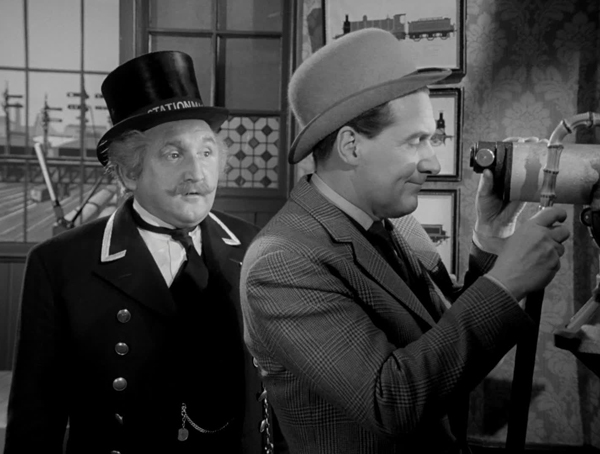 Silent movie music pipes up as Steed first casually waits at the (miniature) station before engaging in fisticuffs across not-so-fast-moving train carriages. One-time director Quentin Lawrence handles the action with aplomb. 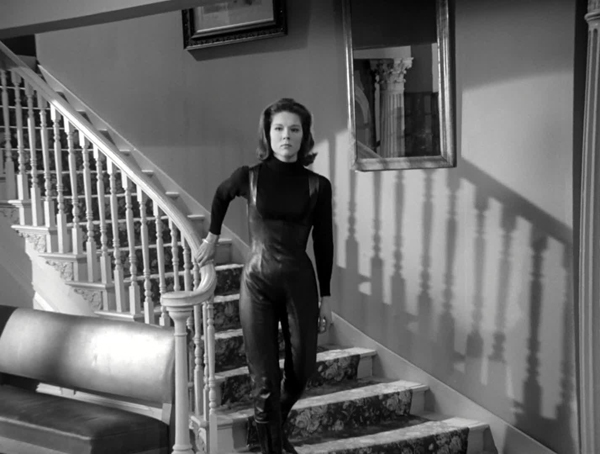 True, Steed’s stunt double is never less than undisguised, but that’s a given in the series. 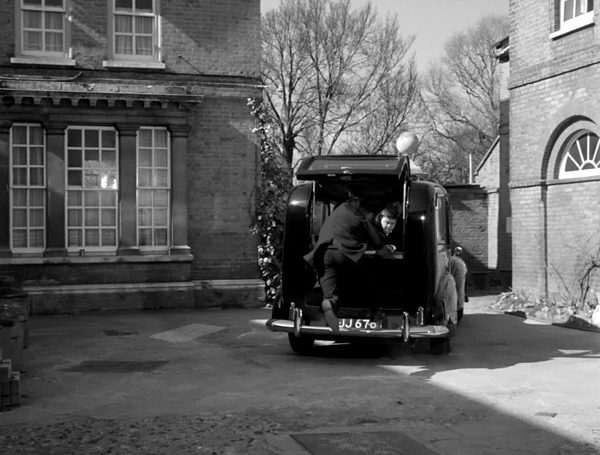 The rescue of Emma, Steed changing the points in the nick of time, is especially well-executed, and earlier sequences includes a fine single shot of undertakers racing aboard a hearse as it speeds off into the distance, and a tidy fight scene on Steed’s initial visit to the hospital (“What a remarkable recovery” he notes as a man in a plaster cast reveals a gun and full mobility). 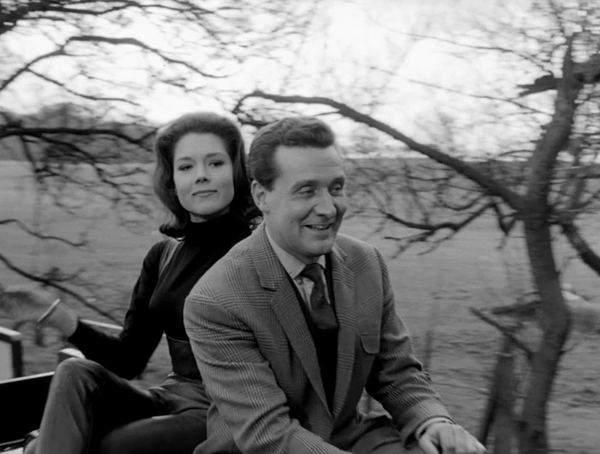 Steed: Mrs Peel, have you ever heard of an undertaker booking funerals months in advance? 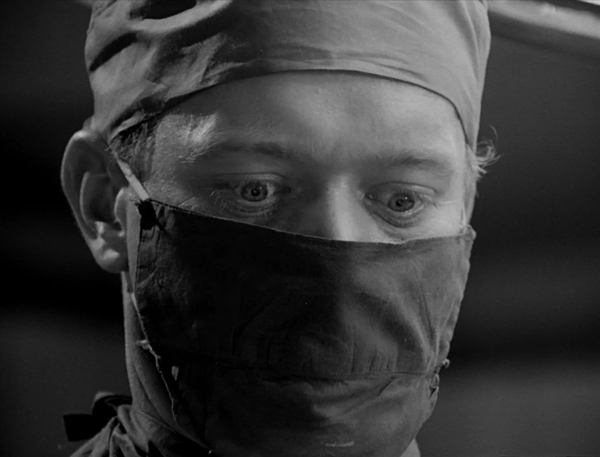 Another inspired piece of lunacy finds a fully prepped operation going ahead… on a (unseen) jamming device, with Dr Johnson requesting “Forceps, scalpel, blowtorch”. Mrs Peel later taking the place of Miss Thirwell (Caroline Blakiston, Mon Mothma in Return of the Jedi) in the operating theatre is a bit daft, since it’s immediately evident to all present that she’s an impostor, but I guess that’s at least a credit to recognising what a daft idea it is. 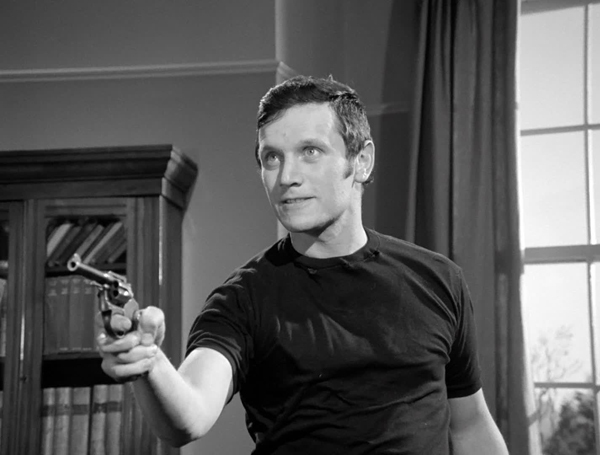 Also featuring are Wanda Ventham (Image of the Fendahl, The Faceless Ones, and Sherlock’s mum) and Steven Berkoff (the man in the plaster cast). 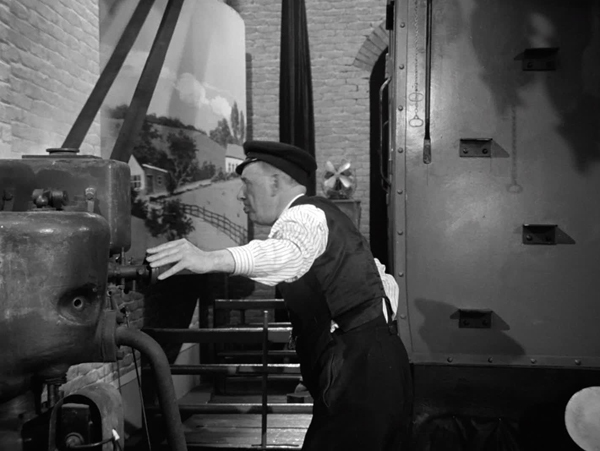 The coda scene is a fun one, with Steed driving the train backwards as he tells Emma he always felt he was cut out to be an engine driver, but the family objected (“No sense of security, always on the move”).